This map shows the sky over the northern hemisphere. Views will vary according to your latitude and the time of night. Circles mark the approximate locations of four recently discovered solar systems. To learn more about them, go to Find the Planets. 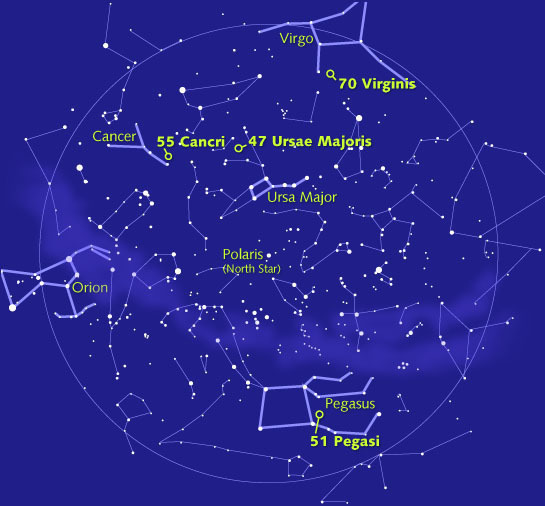 Simplified sky chart from Sky & Telescope Magazine. For the complete version see Sky & Telescope's March 1997 issue.